The first out of two fashion festivals in serbia has started. The first designer to open the 15th Fashion Selection was Vasilije Kovacev, both a talented and promosing young designer show his Autumn vison of a modern man. 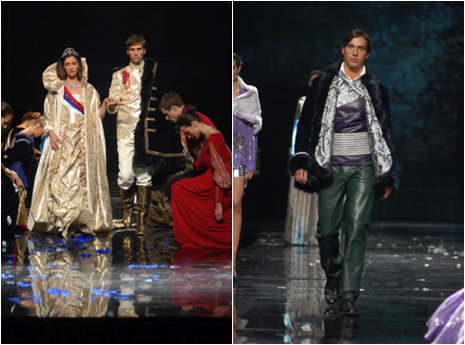 The collection was inspired by an old Serbian fairytale, The golden apple and the nine peacockprincesses... Every guy in the Belgrade streets should be a prince. Pal Zileri opens the fashion season in Belgrade! And what an opening it was!!? If there is a both prestigeous and traditional male fashion event in Serbia, than we are talking about Pal Zileri fashion shows. A Pal Zileri man, this spring, is a very hot one, indeed!!! 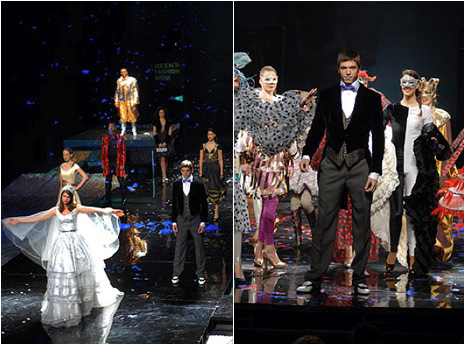 It has never been just a fashion show, but a social event of a great importance. Always a spectacle!! Belgrade has a tendency of being a fashion center in the region. Two different and very ambitious agences are organizing a fashion week, each of them, a one of their own, under a separate brand name. 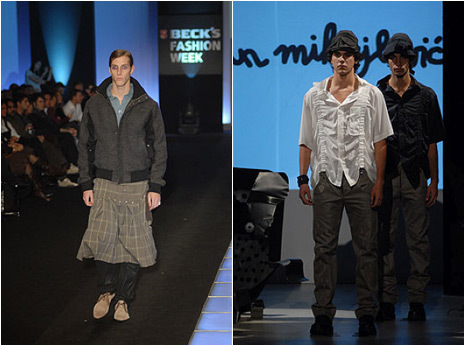 So Belgrade has a FASHION WEEK and a FASHION SELECTION. This late October, early November has been very busy for fashion addicts. 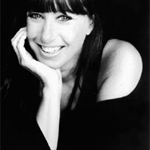 Fashion stuidio Click is a founder of BELGRADE FASHION WEEK . 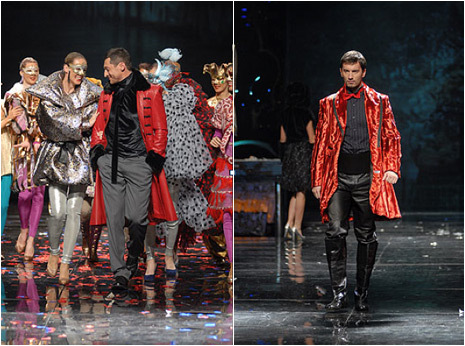 It was the 22nd Belgrade Fashion Week this year and it is it’s 11th year. Bravo for “Click”. It was opened with the collection done by the most famoust painter here, Olja Ivanjicki. This Fashion Week was rich in authors’ collections. There were so many and that’s just great!!! It is very good for Belgrade that it has so many domestic designers and gifted designers I must add!! Those talents have their own faithful audience. Personally do not like people telling me what to do and what to wear! And in its straight forward way Fashion is telling us exactly that, but than again someone must be the one who will say: "OK next season we will be wearing...". Of course there are various ways of saying things ! Being a kind of person who has a problem with authority and uniforms, fashion is OK with me as long as they suggest, rather than say, leaving me the freedom of understanding the suggestion! Than, it is ok! In this sense I dare say just one name out loud: Donna Karan! She leaves you some space not to find yourself among what she has to offer but to combine whatever she is offering to be yourself. She does not impose, she helps! Isn't that what we need! ?